Thames & Hudson, 9780500651636, 32pp. When Dutch artist Vincent van Gogh cuts off his ear, the ear is suddenly left alone and headless. What will become of her? Where should she go? What should she do? Aware of how small and insignificant she is in the big, wide world, the ear experiences something of an identity crisis. She simply doesn't know who she is anymore. But thanks to a downcast frog with a heavy heart who simply needs to be listened to, she realizes what she can offer to the world: a sympathetic ear. News of the ear's unique ability to listen spreads, and soon animals travel from far and wide just to visit her. But the ear's newfound happiness is threatened when she is caught up in a spider's web of gossip and lies. 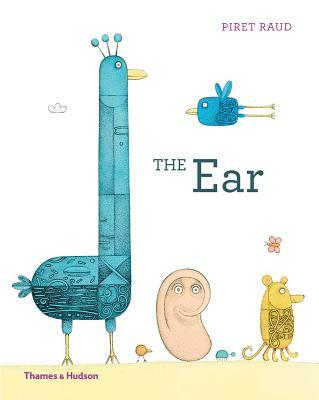 The ear's new friends, grateful for everything she has done for them, come to her rescue. And from that day on, the ear never feels headless again. Piret Raud's hand-drawn artwork is breathtaking for its exquisite detail. Vibrant colors and bold compositions complement this beguiling story about identity, kindness, and friendship.